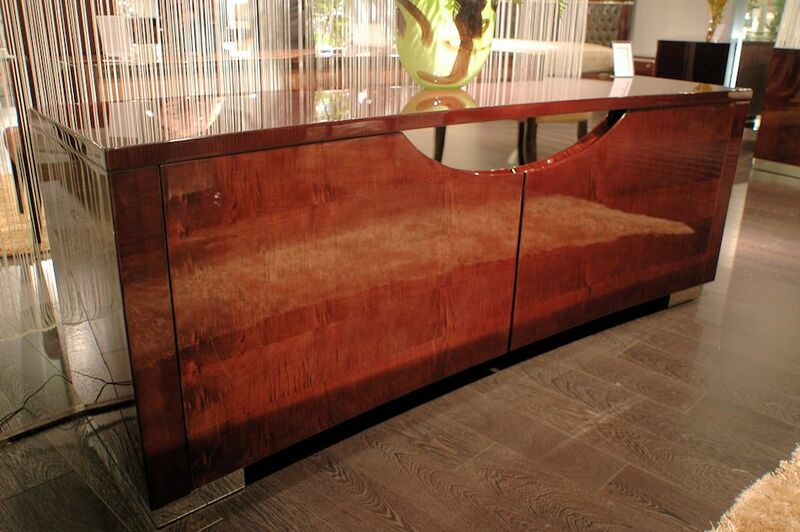 snake skin Italian leather round legs, maple wood, and an extraordinary high gloss finish. $ 495 ea. - DC-342 side dining chair. 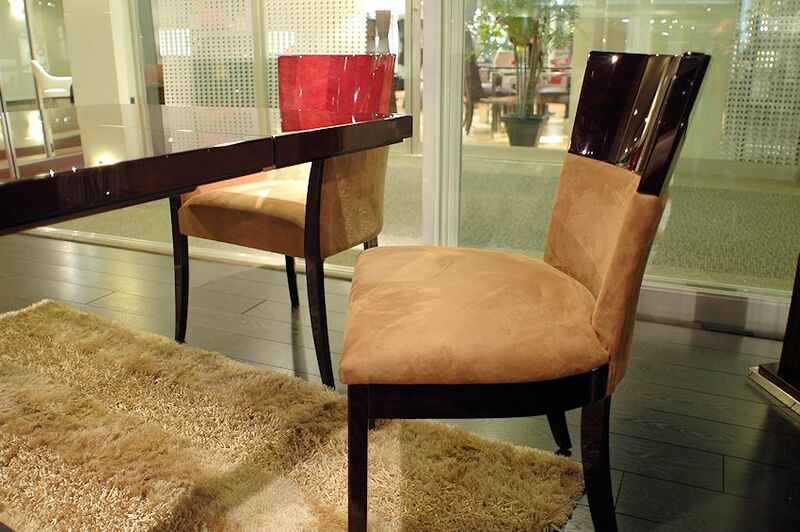 The solid wood and suede chairs are off the charts in comfort and appeal. The finest craftsmanship, made from the most expensive materials in Asia. 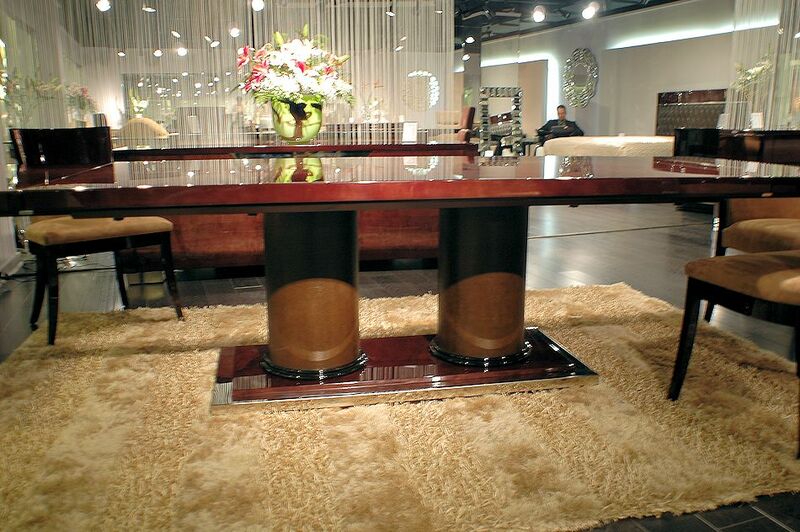 BF-342 buffet offers beautiful maple wood, stainless steel accents, and a stunning high gloss finish. 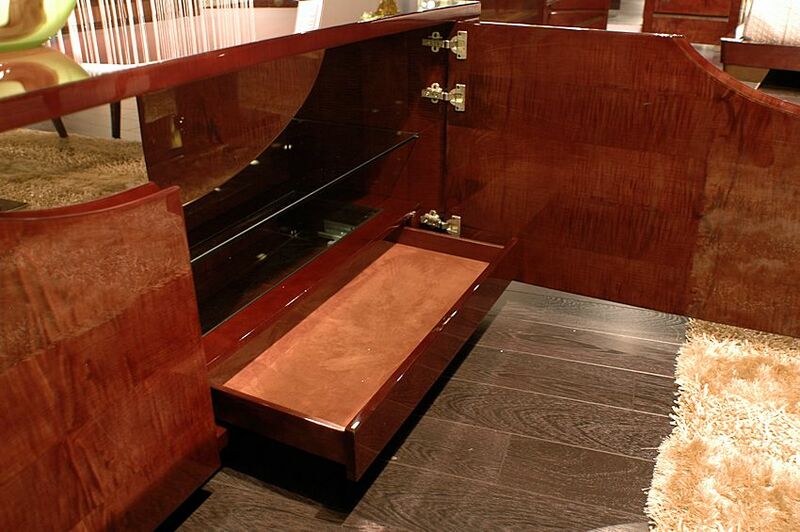 BF-342 buffet open - drawers lined in suede. What a nice touch! 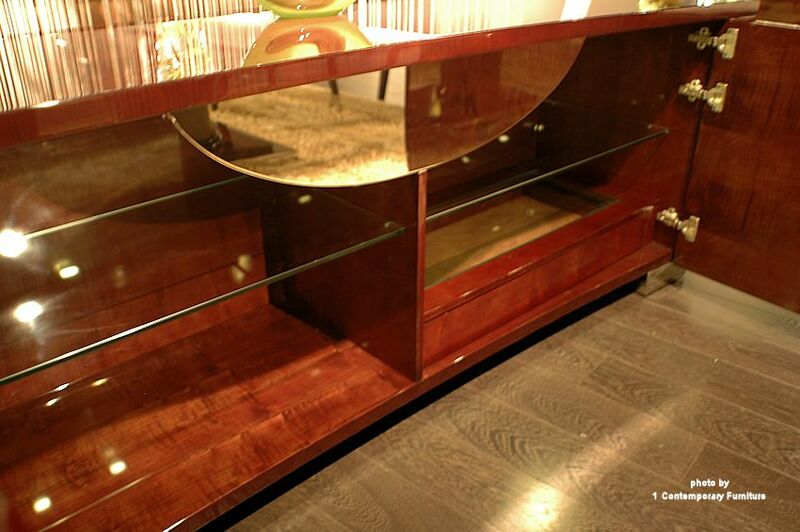 BF-342 buffet open - glass shelves.